On the Fast of Esther, this Wednesday, the 13th of Adar, we are obligated to refrain from eating and drinking from dawn (6:04am) until nightfall (7:59pm). This commemorates the fast observed by Esther and our ancestors who went out to battle the Persian forces mobilized by the command of Haman. For those individuals who have difficulty fasting or are pregnant or nursing, please consult Rabbi Sendor in advance of the fast. As part of the pre-Purim ritual, each person over the age of 20 years gives the "Machatzit HaShekel " (half shekel) as a charitable contribution before Mincha on Taanit Esther. This institution recalls the period when the Jews contributed a half shekel to the Beit HaMikdash. Today, the custom is to contribute a half of the "common coin", which in Australia is the half dollar, and there is a further custom to contribute three "half shekalim", in our terms, three half dollars, to reflect the appearance of the word "terumah" three times in the Torah. To achieve this, most shuls, Blake Street included, provide a number of "half dollars" in the collection plates to accommodate those who did not bring any half dollars to shul. Each person first contributes his dollar and a half in whatever form they have (or more), and then lifts three "half dollars" at the same time, to halachikaly acquire them. The newly acquired half dollars are then returned to the plate as a contribution. In this manner the "half shekel" obligation is fulfilled. 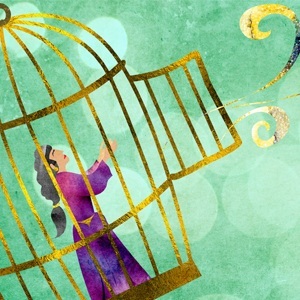 Every Jew (men, women, and children who are old enough to understand the proceedings) is obligated to hear the reading of the Megillah (Book of Esther) on the night of Purim and again on Purim day. One does not fulfil one's obligation by listening to the Megillah only once. Adults and children are encouraged to appear in tastefully expressive costumes that reflect both the joy of Purim and the sanctity of the Shul. On Purim day, every Jew is obligated to send at least two different ready-to-eat foods to at least two friends (Mishloach Manot). Please note that although mourners are obligated to fulfil the mitzvah of mishloach manot, it is inappropriate to send mishloach manot to an individual who is in mourning, whether sh’loshim (30-day-period) or yud-bet chodesh (the year-long mourning for a parent). Every Jew is obligated to give Matanot L'evyonim, money or food to at least two poor people. This mitzvah is of greater significance than the mitzvot of Seudat Purim or Mishloach Manot. Both traditions of Matanot L'evyonim and Mishloach Manot represent our eagerness to share our joy with our friends as well as with those less fortunate. The Shul will ensure that all monies donated will be handed out through the Melbourne Jewish Charity Fund on the day itself in appropriate fulfilment of the mitzvah. We are obligated to eat a Seudah (festive meal), which should begin early enough in the afternoon on Purim day to allow most of the seudah to be completed before sunset.